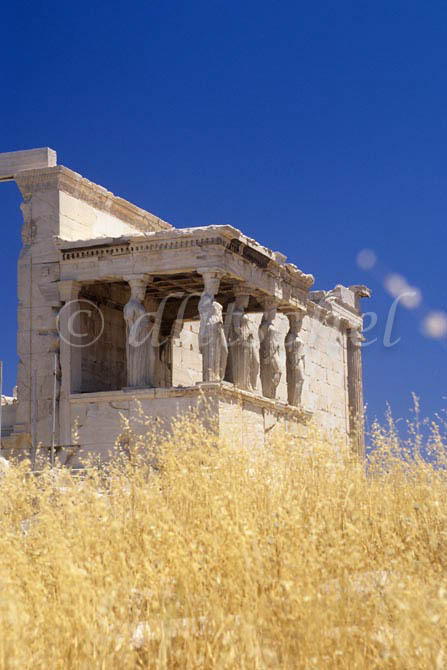 Caryatid Porch of the Erechtheion: Greece: ancient architecture, ruins, roadside and seaside views. Caryatid Porch (sometimes referred to as the Kore Porch) of the Erechtheion, dating from 421–407 BC, on the Acropolis in Athens, Greece. To purchase this image, please go to my stock agency click here.